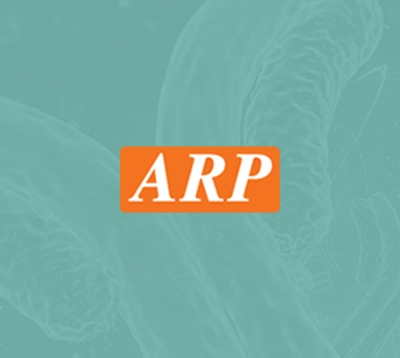 RGS19, 1-217aa, Human, 01-1796-19 | ARP American Research Products, Inc.
RGS19, also known as Regulator of G-protein signaling 19, belongs to RGS (regulator of G protein signaling) family and negatively regulates G protein coupled receptor signaling. 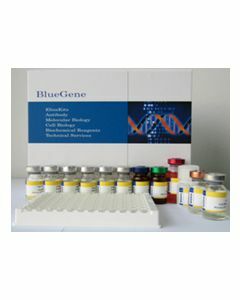 This protein specifically interacts with heterotrimeric GTP-binding protein G alpha i3 (GAI3). Recombinant human RGS19 protein, fused to His-tag at N-terminus, was expressed in E.coli and purified by using conventional chromatography. Wong YH., et al. (2010) Cell Signal. 22(11):1700-7. Farquhar MG., et al (1995) Proc Natl Acad Sci U S A. 92(25):11916-20.